This is by far the best remover ever! To me it smells very strong and has an anise scent. It is still better smelling than reg. polish remover and it Will remove any nail polish; chunky glitter, textured, or multiple layers. The best part is that it seems to condition cuticles so easier to manicure after removal of polish. It never dries out your nails! So glad they sent me a sample of this last year. Now my nails stay strong and chip free for a month, whereas before I could only paint my nails twice and they would be dry and ruined from regular remover. The pump bottle is genius! Zoya Remove Plus Nail Polish Remover 8oz in Big FlipperMy daughter and I love this!! My daughter (10 yrs old) and I do our nails weekly together as a way to keep her motivated to not bite them. This is the only polish remover I feel safe using on her hands and it also happens to be the only remover that actually removes chunky glitter! Aside from the awesomeness that Zoya polishes last a whole week on our nails, this remover cleans and preps SO very nicely. Zoya Remove Plus Nail Polish Remover 8oz in Big FlipperBest remover ever! I have tried every remover there is and this is the BEST! It takes minimal effort to remove polish and I love that I don`t have to worry about spilling it on my floors. I won`t buy anything else! This removes the polish so well and cleanly, while also making my nails feel so healthy afterword. Its the best remover ive ever had! My daughter introduced me to Zoya Remove Plus and I am completely in love with this product. I have never gotten my nails completely clean with only one cottonball. I actually cleaned my hands and feet with two cottonballs and I normally wear deep red polish on my feet. Not only does Remove Plus clean the nails but, your hands and feet feel pampered and not mistreated. I would recommend this product to everyone. I don`t know why every nail shop doesn`t use it. Thanks for making a pproduct that is actually worth the price you pay for it. Works miracles on sparkle nail polish! Zoya has lived up to my expectations, easily and quickly removes nail polish, which for pedicures is especially helpful. I am off to buy more. Zoya Remove Plus Nail Polish Remover 8oz in Big FlipperThe BEST!! I am 48 yrs. old & have never used a nail polish remover like this...I LOVE it!! The bottle design is unique & I really like the ease of using it...but the polish remover is the definitely the BEST...to ME, it smells like Baby Powder (very light) & does not have that awful chemical smell that other polish removers have. Plus, it works!! It really takes off every bit of polish with minimal application!! I had been using acetone to remove nail polish and had stripped my nails so bad that they had split at the first sign of growth. 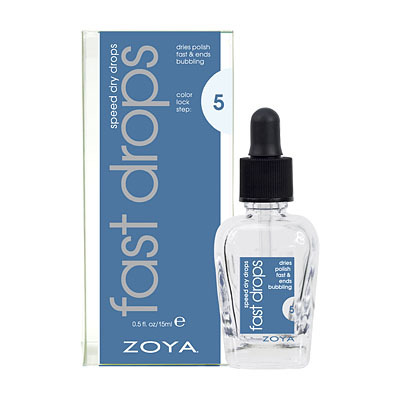 I started using Zoya`s remover plus and there is a vast difference in my nail bed and now when I do an cuticle oil treatment - it actually penetrates. My nails are on their way back to being healthy. Great product - even takes off glitter!! Zoya Remove Plus Nail Polish RemoverTruly The Best! If you read ANY review that say ANYTHING negative about this remover don`t buy into it. This is absolutely the BEST remover I have ever used. The quality is perfection, the smell is nice, and it makes removing your nail polish a breeze. The cost is perfect for such a world class remover. If you have not tried this product please do you will be so glad you did!! I have always used just generic polish remover and didn`t know what I was missing. This takes the polish off fast and easily no rubbing and struggling, no leftover base coat that won`t come off. I had always removed the polish away from my hubby as he hates the smell of removers but I can use this in the same room as him, we both love the smell. You use a lot less of this than cheapie brands as it works well. I love this and will continue to buy it. Excellent! Cons: Pricey and it works like a normal remover. I didn`t find it to be any faster than regular acetone-containing remover. I`m not sure why there`s so much hype for this. I still recommend buying one bottle just because it`s cute, handy, and refillable. Would I buy another bottle of this? Heck no. Zoya Remove Plus Nail Polish RemoverWould be perfect if it weren`t for the smell. I gave this three stars because it`s wonderful for the cuticles and really does take off all polish cleanly. HOWEVER, if you have a sensitivity or allergy to lavender or similar products, don`t even consider this remover. I only wish Zoya had mentioned that it was scented with lavender in the description, otherwise I could have saved $25 on something I`m allergic to (which can`t be returned because it was purchased with a promo code). I really wish I could use this, because it is a genuinely good product. Zoya Remove Plus Nail Polish Removerno question.. This is the best nail polish remover ever. Totally worth the cost. I did a 30 day nail challenge which required me to do my nails every day for a month.. I was worried that my cuticles would dry out completely but using Remove , they did not. A lot of people mention the smell, but to me it`s not bad at all. I know that`s just personal preference.. Anyway, worth every penny! I had gotten a 2oz bottle with an order, so I tried it. I used my regular nail polish remover on one hand and Remove on the other. The Zoya hand (fyi, used non Zoya polish, as I was also testing Anchor and Armor and how it would work with polishes I already owned)didn`t chip at all the "non Zoya" hand chipped a little. It definately makes a difference. Love It! This is a really good polish remover - and my absolute favorite part is the pump feature. This makes it so easy to get the right amount of remover on your cotton swab, and you don`t run the risk of spilling. The remover itself is better smelling than normal removers because it`s lavender. It works really well too! I was skeptical about all the raving that went on in these reviews, but thought that if they were true this may be the remover for me. I bought the Big Flipper during one of Zoyas promotions, which got me 2 free polishes with the purchase of anything other than color spoons. I figured this was the time to try out the Remove Plus. The raving reviews are absolutely correct. This remover takes polish off my nails in a few swipes that I used to have to use the acetone foil method on, and it doesn`t give me ghost fingers in the process. I change my polish often, and after using this, I won`t use anything else unless pure acetone is required (removal of glued on rhinestones etc.) I just ordered the 32 oz. refill, and can`t wait to get it as my flipper is almost empty, and I can`t change my manicure of I don`t have the right remover. This stuff is definitely worth the price but I wouldn`t complain if they wanted to lower it. Zoya Remove Plus Nail Polish RemoverAwesome nail remover! I love this stuff! Works really fast, and it doesn`t take a lot of hard rubbing to get the nail polish off. Didn`t leave my cuticles totally damaged like other removers, and I have really sensitive skin too. The smell is not bad; it`s a definite improvement over cheaper nail polish removers... it`s a very mild herb scent even though it`s nail polish remover. Seems like the 2oz will last awhile if you don`t use a lot (and you probably won`t need too much), but I`ll go for the 8oz when I start running low. My wife raves about how great this nail polish remover is. Thought I`d mention how happy she is. Zoya Remove Plus Nail Polish Remover 8oz in Big Flipper OK but.. I like Remove but it`s really expensive for what it is (acetone, glycerine) and also the smell is too strong for me. I know some prefer this over acetone smell but to kill the acetone, there is a pretty strong fragrance that also stays on my hands so if you`re sensitive be aware. I LOVE the bottle design and wish it were cheaper so I could purchase regularly. The large bottle gives about 4 flipper bottle refills, LOVE this stuff. Gentle to your nails, non-drying, tougher than removes with acetone, and lasts A LONG time if you get the flipper bottle because it control how much you get during use. Totally worth it. Zoya Remove Plus Nail Polish RemoverClean Nails Super Fast! Wow! 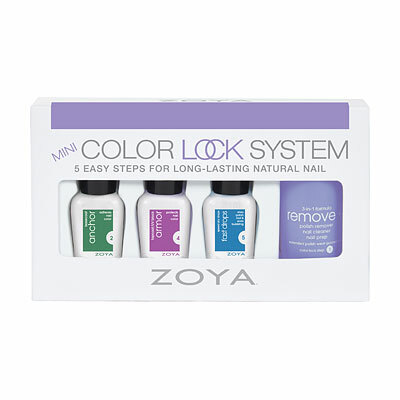 Received my Zoya Color Lock system w the remove . So pleased w the quick removal of my deep red polish and only using 3 cotton balls to clean all 10 fingers. Usually takes nasty 100% acetone to get those results. Will definitely be ordering the 32oz to refill. Zoya Remove Plus Nail Polish Remover 8oz in Big FlipperLove this remover! Until I started using this remover my polish would peel off my nails. Remove plus really preps the nail surface and promotes good adhesion. You have to do a bit of rubbing to get your nail products off but nails are nice and clean, ready for base and polish. Another great Art of Beauty product! Zoya Remove Plus Nail Polish Remover 32ozBest Nail Polish Remover ever.. I have to admit this is the best nail polish remover ever.. honestly it could be expensive compared to drugstore`s $2 polish removers but it`s definitely worth it. The scent, quality, even the color is satisfactory. I don`t think I will buy more Zoya`s colors but definitely this one will stay with me forever. I recently purchased the Gallons Of Goodness promotion for Remove . I am in love with this remover. Smells terrific, makes polish removal a breeze & smells terrific! I give Remove an A ! Zoya Remove Plus Nail Polish RemoverThe best!! This is the only polish remover that doesn`t dry out my nails. It removes every trace of polish without stripping all the moisture out of my nails. Zoya Remove Plus Nail Polish RemoverBest remover ever! Zoya Remove Plus Nail Polish RemoverLove This Product! I am a licensed nail tech and love this polish remover. It smells great, removes polish quickly & it works wonders with removing the new gel-hybrid polishes that last for 14 days! This is the only remover I use! I used to believe all nail polish removers were pretty much the same. Once I tried Zoya`s Remove Plus, I quickly changed my tune. This is the ONLY polish remover I use. It leaves my nails clean, doesn`t require 10 cotton balls, and actually has a pleasant smell (all things considered.) I`m a bargain-shopper & I watch my pennies, but this is one product I won`t skimp on - definitely worth the price. I recommend purchasing the BIG 32 oz. bottle - great value. Zoya Remove Plus Nail Polish Remover 8oz in Big Flipperholy grail! Nail Polish Remover by ZoyaNon-drying but reeks! I love how remove doesn`t dry out my fingertips and make them all white and chalky like acetone does. But this stuff stinks. It gives me a serious headache, especially when removing something hard to get off, like glitter, that takes a long time. Despite the noxious odor, I still use it because it is so much better for my skin. I change nail polish almost daily so it`s worth it to me to put up with the odor. Zoya Remove Plus Nail Polish RemoverBest Remover I`ve ever used! Remove plus is pretty amazing. It easily removes the many layers of polish from my nails. Usually I have to use several cotton balls, but I can get all 10 fingers with just one cotton ball and Remove . I also love that it preps my nails for my next round of polish. This is the best it does not leave my nail dry looking. It takes off the polish quickly and doesn`t make a mess by smearing the polish like some of the others. Zoya Remove Plus Nail Polish RemoverAmazing!!! Amazing! amazing!!! Cuts through multiple coats of polish and nail doesn`t feel or look horrible after removal. This nail polish remover is awesome! It even removes stubborn itty-bitty glitter with no problem, it doesn`t have any harsh smell, and best of all, it doesn`t leave a yucky, bitter taste on my fingers that is always impossible to remove! Zoya Remove Plus Nail Polish Remover 8oz in Big FlipperLove this Stuff!! It is really great stuff. It takes polish off fast and with very little work. I can take polish off toes and nails with one cotton ball. Plus, it helps polish stay on longer. Another plus is it doesn`t have a bad smell. Will never use anything else. Just got my first bottle and love it! It takes the polish off faster than regular remover, smells good (unless you sniff from the bottle...don`t do that lol), is super cute and purple, has the awesome flip top with a pump so it doesn`t spill easily, etc, etc. It`s great! Zoya Remove Plus Nail Polish Remover 8oz in Big FlipperWhere has Zoya been all my life?! Seriously? With this stuff, it took TWO cotton balls for 10 fingers and 10 toes... and the toes had glitter! AMAZING! And smells WONDERFUL! Left my fingers feeling soft and loved on... I am a fan for life! I`ll never use another remover. Thanks, Zoya! It may seem expensive, but it`s worth it for an effective remover that doesn`t dry out your cuticles. I will never be without a 32 oz. refill bottle again! Zoya Remove Plus Nail Polish Remover 8oz in Big FlipperGreat Remover! Remove Plus does not smell as bad as the 1.50 drugstore remover I used to use. It does a great job removing polish--I only had to use 2 cotton balls rather than the 4-5 it usually takes using cheap remover. Thanks Zoya! Zoya Remove Plus Nail Polish Remover 8oz in Big FlipperNo spill! Best nail polish remover ever. Does not dry out nails. Also spill proof bottle keeps remover from evaporating so fast. It last longer & doesn`t take much to remove polish. Zoya Remove Plus Nail Polish Remover 8oz in Big FlipperRemoves polish easily! I use a minimum of 4 coats of polish with the base, color, and top coats for my pedicures. Regular drug store polish remover takes forever, it gets sticky and messy with cotton balls or pads, and leaves little cotton fibers everywhere. This polish remover dissolves polish so much more quickly, with less product, and a nice spa type smell. I don`t mind spending the money for the great job that it does! Nail Polish Remover by ZoyaAmazing! When I first saw the price I was a little reluctant, but gave it a shot anyways and I`m so glad I did! Remove is the best polish remover I`ve ever used and smells awesome. I use the whole color lock system and my manicures last forever and rarely chip! Now I buy in bulk! Zoya Remove Plus Nail Polish RemoverLove it! You may be looking at the price and be thinking to yourself that is way too much for nail polish remover! But trust me a little of this goes a long way and it`s amazing. It takes the polish off really fast, the dispenser makes everything really easy ( no spills) and it doesnt smell as stinky as normal polish remover. Bought my first bottle 2 years ago only to realize that my daughters started using. Then my bottles started to disappear because they started taking my bottles every time they were home from school. Later I learned that my mother was borrowing my bottle every time she would come over. Now I keep my bottle hidden and buy Remove plus as gifts. I never thought I could feel emotionally attached to a polish remover but holy crap this stuff is great...I think I'm in love. So, it removes the polish super fast no weird residue and best of all no funky smell even glitter comes off without endless scrubbing. Usually when a remover is this effective my cuticles end up white and dried out but not with this. It even made my cuticles feel soft I have no idea how they did it but big big kudoos. 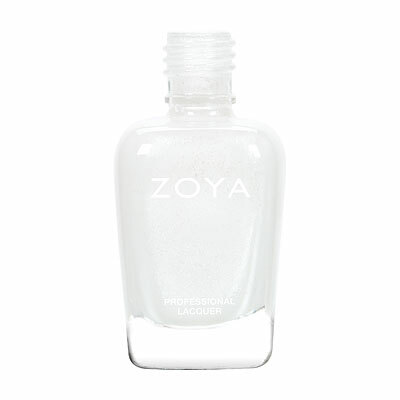 For the perfect nail polish remover, try the Zoya Remove . This nail polish remover is really a revolutionary 3 in 1 product that removes nail polish, cleans the nail plate, and helps to extend nail polish wear. The Zoya Remove Plus nail polish remover is a mild acetone formula deigned specifically not to dry out the nail. Zoya Remove nail polish remover is scented with a light lavender scent and is available in bulk sizes as well as the Big Flipper spill proof dispenser.